My budget is simply here in trade value, I really want a coupe, and I'm Colorado 80525. I'd settle for another 540i to match the one I recently acquired, simply to have more diagnosis parts (that, and I'm pretty sure my wife is going to steal it from me). So far all attempts at contact with others I suspect might be willing to trade have lead to dead ends. Somewhere between a coupe and a BMW 540i lives something called the BMW 6-series. Unfortunately BMW didn't make a 6-series during the time they built the 540i, so you'll have to go older or newer...of course I've picked something older. 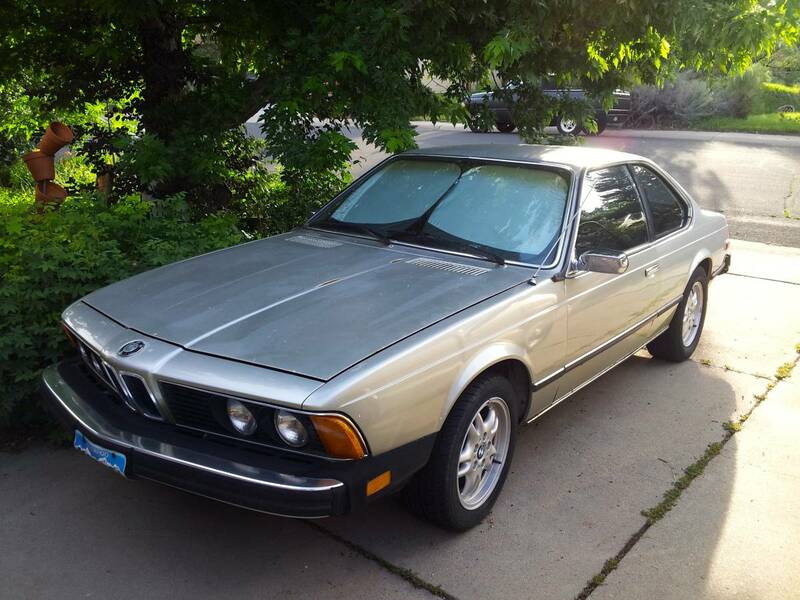 This 1977 BMW 630CSi is offered for $1900 in Ft Collins, CO via craigslist. It likely needs some work to get back on the road, but it seems like a good deal for the asking price. What do you recommend for around $2200? Comments below. First gen Integra with 300k on the clock for $1,900 on your local CL. Yes, the prettiest of the big 2-door BMWs ever. The early cars like this one had the E12 rear suspension, the thermal-reactor head-cracker smog exhaust, only a four-speed transmission, etc. 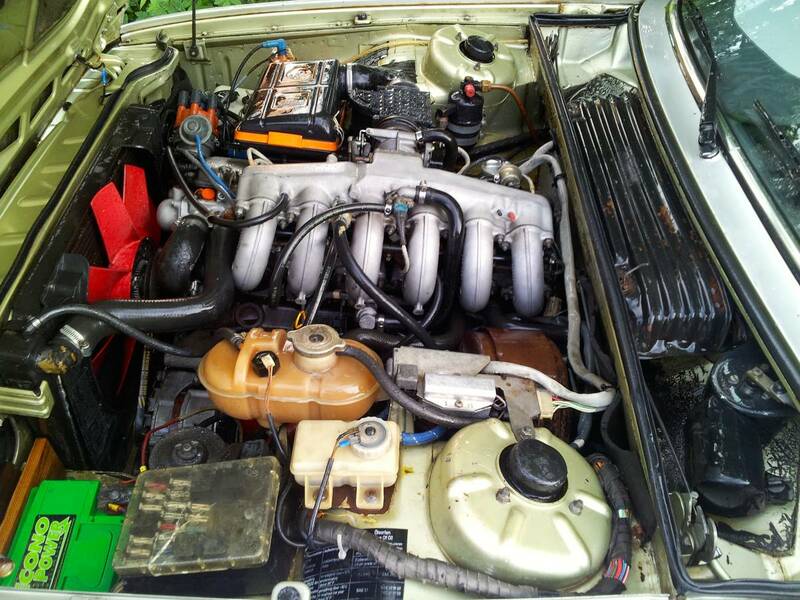 They are, however, very pretty and will readily accept a later M30B35 and 5-speed if you're up for the work. Was out flogging an E30 with an M30B35 in it around Thunderhill this weekend. She go. I'd be o.k. with a hatch as well! I've drooled over that six already, but he's not interested in my trade. I'd have to convert it into cash in order to seal that deal. Thanks for the input / LOVE YER SITE!!! ok, it has a salvage title and the wheels must go, but it could be interesting even so. Yup, those wheels are awful. The salvage status is a bit intimidating, I may have to chat with my insurance to figure out if I can even do that (affordable like). I've got my heart set on this one, but he wants to give it a week or two, because he'd perfer cash. Really hope my truck sells, because I think that might make this a bit easier. I. Thou Shalt Not write anything your mother would not appreciate reading. II. Thou Shalt Not post as anonymous unless you are posting from mobile and have technical issues. Use name/url when posting and pick something Urazmus B Jokin, Ben Dover. Sir Edmund Hillary Clint Eastwood...it don't matter. Just pick a nom de plume and stick with it. V. Thou Shalt Not commit spam. VI. To embed images: use [image src="http://www.IMAGE_LINK.com" width="400px"/]. Limit images to no wider than 400 pixels in width. No more than one image per comment please. All rights reserved. (C) Daily Turismo. Disclaimer: No guarantees, claims or contracts are implied or assumed by the dailyturismo for items advertised at this site or referred to from this site. Buyer beware: This site assumes no responsibility for any of the items for sale or referenced and does not assume any responsibility for any accuracy in the postings.